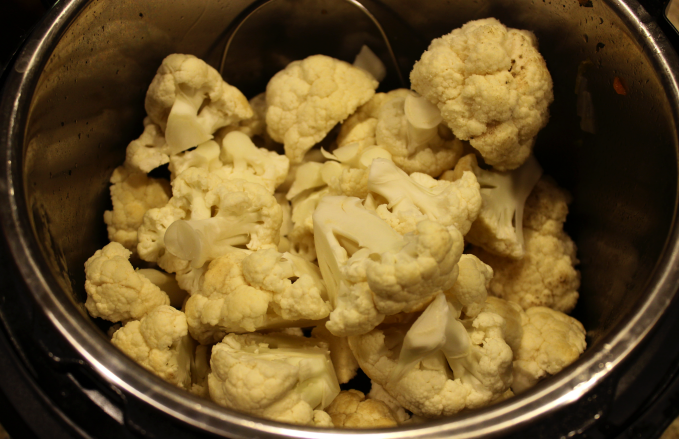 Cut the entire cauliflower down and throw into the pressure cooker for 3 minutes on high pressure. 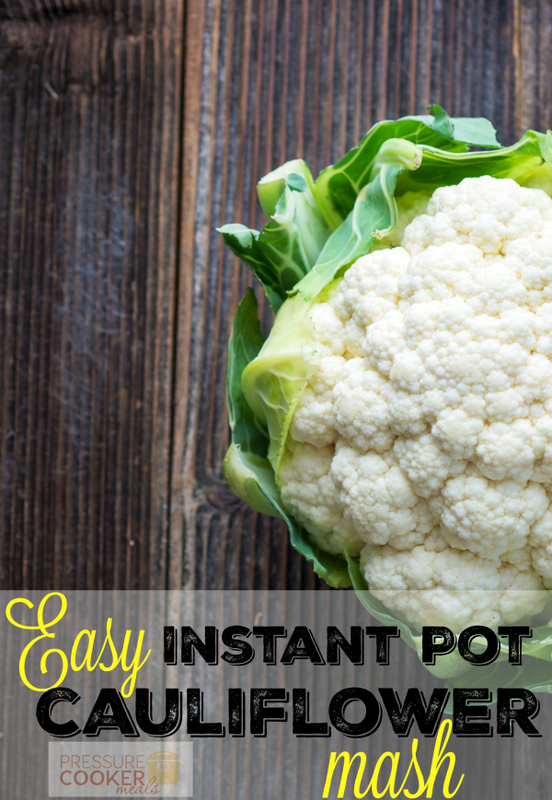 Be sure to add the rack that came with your Instant Pot first. Fill with two cups of water. 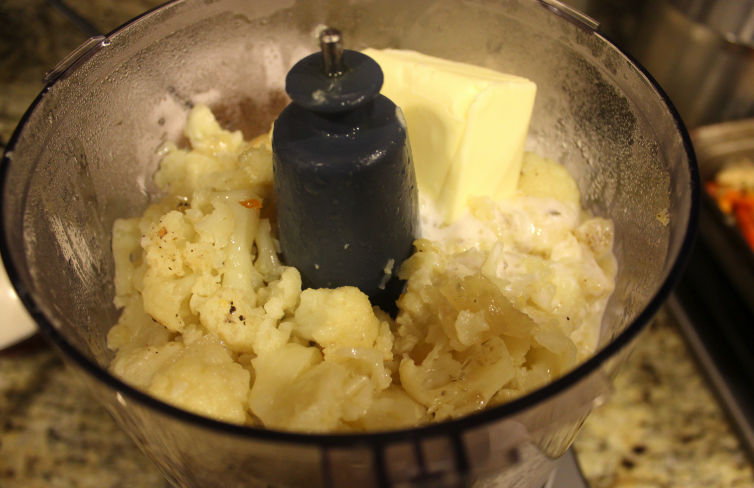 Take the cauliflower from the Instant Pot to a food processor with 2 ounces of butter and a splash of buttermilk and process the heck out of it! 🙂 Not kidding, the more you process it… the better! 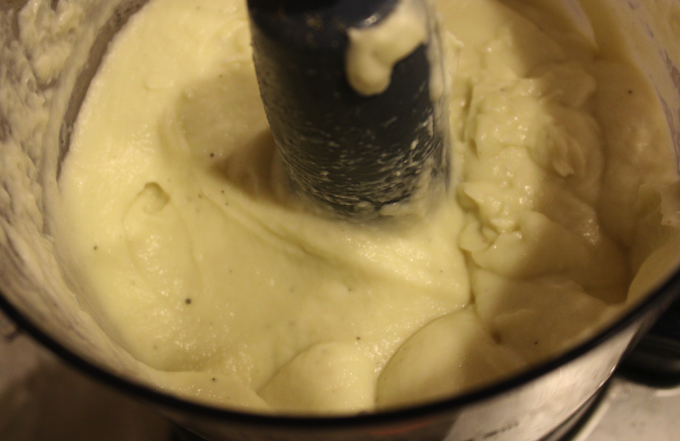 You know it’s ready when you have this very creamy consistency. Add salt and pepper to your liking. We ate this with our yummy whole chicken in the pressure cooker. You can eat it with whatever protein you would like – it goes well with anything!